We have a h.u.g.e box of recipes that my mom has collected, or that I cut out from magazines at a very young age (I remember my mom trying convincing a 6-year-old-me that I didn’t need to cutout another chocolate cake recipe). Most of them I have never tried, others are tried and true. This recipe was one of the never tried before. But they will become a tried and true. Though I would consider this much more like a cupcake, but I am not complaining. Cream the butter, and sugar until light. Add eggs one at a time, beating well after each addition. Combine dry ingredients in a seprete bowl. Alternate the milk and the flour mixture into the creamed butter. fold in the raspberries. Spoon into greased or lined muffin tins. Bake for 30 minutes. 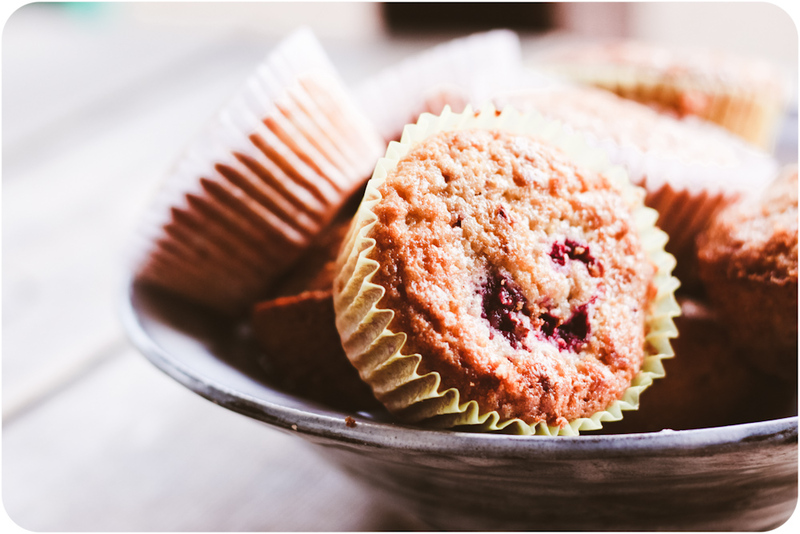 This entry was tagged madey edlin, Muffin Recipe, photography, Raspberry Recipe, Recipes. Bookmark the permalink. I agree, It looks like a cupcake recipe. But cupcake or muffin, I like raspberries, so I am glad I ran across this.